Struggling to understand Incoterms or shipping jargon? Sorted alphabetically, our glossary will tell you everything you need to know to navigate the world of shipping, freight forwarding and logistics. Goods transported by aircraft. Usually the quickest method of shipping internationally. Also known as Bunker Surcharge. A sea freight surcharge applied by the carrier that represents fluctuations in oil prices. The name given to the oil used to fuel ocean vessels. Official shipping document containing details about the shipment. The release of this document to the intended recipient of goods is representative of transfer of ownership, so it is often held until final payment is complete. The original paper B/L or electronic release (see Telex Release) is required for the delivery of goods. Also known as Currency Surcharge. A sea freight surcharge applied by the carrier that represents fluctuations in exchange rates. Goods for transportation by air, sea or road. A vessel-sharing agreement to allow carriers to extend their services and geographical coverage. Cubic Feet. Non-metric unit sometimes used to calculate volume in the US, Canada and the UK. Cubic Metre. Unit usually used to calculate volume. One cubic metre is equal to 100cm x 100cm x 100cm. An official document certifying the country the goods originated from, usually issued or signed by the appropriate Government Department, Chamber of Commerce or Embassy of the exporting country. Not always required but having one can lower the payable import duties of some countries. Carrier facility/warehouse (usually located in or close to Port) where LCL (Less Than Container Load) shipments are loaded or unloaded. The Customs Handling of Import and Export Freight (CHIEF) system. Allows importers, exporters and freight forwarders to input customs information electronically, calculating payable duties and taxes, and checking for errors automatically. Also identifies which consignments require examination of goods or documentation, allowing faster entry for low-risk goods. 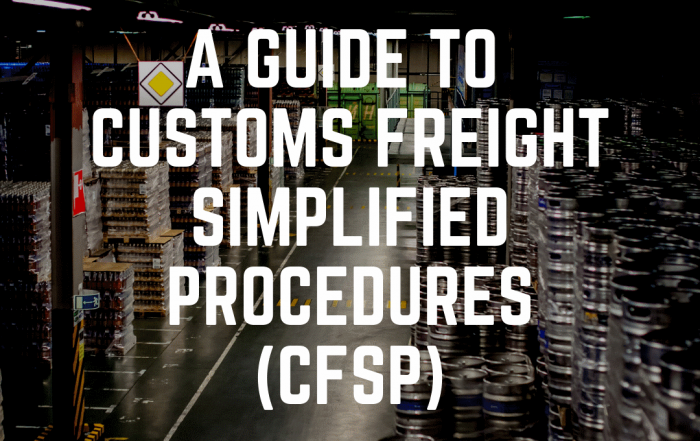 A hidden cost that can occur when goods are sent on CFR or CIF shipping terms. A receipt issued after inspection by the carrier, confirming that the goods were received undamaged and in the correct quantity. A foul bill of lading indicates that goods were received in poor condition or with items missing. A document containing information about the goods, typically including type, quantity, price of each product and terms of sale. Also, shows the buyer and seller details. Used to declare goods to Customs and to calculate the payable duties and taxes. Completion and submission is the responsibility of the signatory (sender of the goods). Commodity codes are used to classify goods for import and export, to ensure the right amounts of tax, VAT and duty are paid. You can find commodity codes using the online Trade Tariff at GOV.UK. Usually the buyer. The person or company responsible for receiving the goods. Under the terms of a consignment contract, the consignee sells the goods on behalf of the consignor, on a commission basis. The consignor retains ownership of the goods until they are sold, with any unsold goods usually returned. Usually the seller. The person or company that retains original ownership of goods until transferred to the consignee (usually the buyer). Goods sent from outside of the EU to the UK may be subject to Customs Duty, except in case where the value is below £135, or the actual duty payable is less than £7. This may change when the UK is no longer an EU member. A deferment account is a bank account held with Customs to pay the relevant duties and VAT. An importer can apply to set up their own deferment account with HMRC or use the deferment account of an import agent/customs broker (usually for a charge). A charge applied by the carrier for having to hold a freight vehicle or container for longer than arranged. Can sometimes occur when a full container takes longer than the allotted three hours to unload. A term indicating that the consignee must pay local duties and taxes at the agreed delivery point. A term indicating that the shipper/consignor is responsible for paying all duties and taxes at the agreed delivery point. The process of removing the cargo from a container. Issued by a carrier to confirm receipt of a shipment at the expected dock or warehouse facility. The dock receipt transfers accountability for the cargo from the shipper to the carrier and is useful in ensuring goods arrived at the right location and on time. Loose materials used to support cargo and keep it in position in the container during transportation. Also used in the ship’s hold to prevent cargo from moisture and contamination. Examples include wood, paper, burlap and inflatable air bags. A tax applied to imported and exported goods by the Customs authority of a country. If you are importing or exporting within the EU, there’s no duty payable. When importing and exporting to and from non-EU countries, you may be able to claim some or all of the amount payable back through a duty relief scheme. Customs duties and taxes may be payable when importing and exporting goods, and vary from country to country. Used by UK Customs to keep a record of imported and exported goods, and required by all businesses within the EU when importing or exporting commercial cargo (not goods for private use) from or to a destination outside of the EU. This number is required for a commercial invoice, when submitting an electronic export declaration, and when using the CHIEF system. If you are using a courier or freight forwarder, they will need the EORI number. It is easy to apply for an EORI number online and usually, takes three working days to receive. Used to indicate what time and date the ship is expected to arrive at its destination port. Usually seen on shipping schedules. Used to indicate what time and date the ship is expected to berth at its destination port. Usually seen in the pre-arrival notifications sent to ships. Used to indicate the time and date the ship is expected to complete its cargo operations in port. Usually seen on arrival reports sent to ship owners. Used to indicate what time and date the ship is expected to leave port. Usually seen on shipping schedules and arrival reports. Sometimes used instead of ETD (Estimated Time of Departure). Indicates what time the ship is expected to set sail. Excise duty (or excise tax) is charged at the current rates when importing tobacco, alcohol, hydrocarbon oil and biofuels from outside of the EU. Goods moving within the EU should have excise duty already included in the price. Some items require a government-issued export licence before they are shipped internationally. Whether you need an export licence depends on the country you are exporting from, the destination, the type of goods and the end use. In the case of exporting from the UK, most goods do not require a licence, but it is the exporter’s responsibility to ensure this is in place if needed. FCL refers to one 20 or 40ft container filled with cargo and is the standard set by the ISO (International Organization for Standardization). A small vessel that moves goods a short distance to and from port, linking smaller ports that have less traffic to bigger ports. Usually used when a shipper wants to use a port that the ‘mother vessel’ doesn’t serve. Feeder vessels collect shipping containers from ports and transport them to container terminals where they are loaded onto bigger vessels or other means of transportation. The inexact method of measuring a ship’s capacity for carrying cargo and the handling capacity of container ports. Refers to the size of a standard 40ft container unit. A type of special economic zone (an area where the business and trade laws are different to the rest of the country) where non-prohibited goods can be stored, handled, used for manufacture or re-exported, without customs intervention. While in a free-trade zone, taxes and duties are not applicable. The purpose of a free-trade zone is to make buying and selling goods easier and cheaper, and they are mostly found in developing countries as an economy-boosting measure. Goods that are transported, usually in bulk, from one place to another. Freight can be carried by land, sea or air. A freight forwarder is an independent company that will take care of the shipping process on your behalf. They will typically manage all aspects of shipping, including ensuring the correct documentation is completed. They may also offer a variety of wraparound services, including product sourcing, packing, unpacking, warehouse storage and end-point delivery. A tax collected on imports by the Customs authorities of a country. This is typically calculated based on the value of the goods. Some items require a government-issued import licence before they are brought into the country. In the case of importing into the UK, most goods do not need a licence, but it is the importer’s responsibility to ensure this is in place if needed. The standard delivery terms for a shipment, unless agreed otherwise. The delivery truck will be parked at the premises of the recipient, and the recipient is responsible for unloading. LCL refers to a shipment that doesn’t fill one 20 or 40ft standard container. The container is therefore loaded with cargo from multiple consignees. On arrival at the destination port, the goods are deconsolidated (separated) at a container freight station (CFS). LCL costs more to ship per unit of freight than FCL but may be the cheaper option for small shipments. The charges payable to a terminal, local tax authority and/or government, when importing or exporting goods. It is important to know what local charges you are responsible for when calculating the cost of shipping goods. Covers loss or damage to a ship and its cargo. A form containing information regarding hazardous cargo, including guidance on how it needs to be handled during shipping. The National Export Service (NES) is used by exporters to declare their intent to export to non-EU countries electronically. It is part of the CHIEF system. The person or company that is indicated on the Bill of Lading for notification of the ship’s landing at its destination. Usually the Consignee. Used to describe a freight forwarder that doesn’t own a ship or vessel. The Overseas Business Networks Initiative (OBNI) – also known as the British Chamber of Commerce Global Business Network – is designed to support British companies looking to export to 41 high growth and emerging markets worldwide, including China, Hong Kong, Japan, India and Mexico. The practical services offered focus on driving and encouraging export growth. A packing list contains information on the contents of a consignment. It details the contents of each package or container, often including dimensions and weight. It is completed by the shipper/seller of the goods and used by the receiver to verify the items sent. It may also be used by other agencies and parties involved with shipping. The maximum permitted cargo that can be loaded into a shipping container, measured either by mass or weight, including dunnage and any other securement items. A harbour or dock where ships can load and unload cargo. Also used to describe a town or city with a harbour i.e. the Port of Felixstowe. The port at which goods are off-loaded from the ship and discharged for collection or further onward transportation. May or may not be the final Destination Port. Payable to the shipping carriers to cover the handling of containers. In the UK these charges are payable per container for both import and export shipments. The port at which the goods are loaded onto the ship to be transported. A term used to indicate the left side of the ship. Some countries restrict the importation of certain goods with an import quota. This refers to the amount of these goods that are allowed into a country, within a given period. If the quota is exceeded, additional duties or restrictions may be enforced. It is the importer’s responsibility to be aware of any import restrictions and ensure the right licence is in place. The maximum permitted total mass or weight of a container, including contents. You should also consider the maximum weight limits applicable in the countries of origin and destination. Goods transported by road, usually by truck. Shipping term on a Bill of Lading that indicates that the carrier has not verified the contents of a container, as declared by the shipper. Goods transported by ship. Usually the most cost efficient method of shipping internationally. The quantity of goods shipped together, often on a single bill of lading or air waybill. The sender of the goods. Often the Consignor. Shipping term on a Bill of Lading that indicates the shipper’s responsibility for the packing of the container. It is used to protect the carrier in the event of any missing or damaged cargo. A shipping agency put agents in position in port to deal with the transactions of the ships, on behalf of the owner or shipping company. The responsibilities of a shipping agent could include the organisation and wellbeing of the crew, arranging for repairs and maintenance, and ensuring the applicable port taxes, fees and duties are paid. The total cost of shipping your cargo, divided by the number of units sent. Shipping marks and numbers are used on the cartons within a container for identification purposes. They are especially important in the case of shared containers (LCL shipments). They include the size and weight of the carton, the recipient and the number of the carton (i.e. 1 of 4). They sometimes also include a shape. The price of transporting cargo from one place to another, at the time of quotation/transaction. These fluctuate depending on the economy, supply and demand and other influencing factors. Ongoing ‘Contract Freight Rates’ are the alternative. Goods are delivered in a truck with a tail lift on the back to enable the driver to lower them to the ground. Essential if you are expecting a delivery of heavy goods and don’t have access to a forklift to get them off the vehicle. The mass or weight of an empty shipping container. Can vary depending on the type, manufacturer and age of the container. A code allocated to products for the purpose of clearing through UK customs. The code determines the percentage of duty that’s payable on the product. Look up the relevant code at www.gov.uk/trade-tariff. A term referring to the electronic handover of the Bill of Lading. Telex Release is an instant method which makes it preferable over the paper method, which involves the shipper posting the Original B/L to the Consignee for forwarding before the goods can be released. The inexact method of measuring a ship’s capacity for carrying cargo and the handling capacity of container ports. Refers to the size of a standard 20ft container unit. Also known as Port Handling Charge. Payable to the shipping carriers to cover the handling of containers. In the UK these charges are payable per container for both import and export shipments. The transaction statement sets out the agreement between importer and exporter, clearly documenting terms and conditions to protect both parties. The transfer of cargo from one ship, or other modes of transport, to another. The amount of time it takes for the vessel to travel between the Port of Loading and the Port of Discharge. Value Added Tax (VAT) is payable to HMRC when importing goods. If you are importing to the UK from within the EU for a VAT-registered business, you will normally account for and reclaim the VAT through your VAT return. VAT-registered businesses importing from non-EU countries can reclaim VAT as input tax. VAT may also be due when exporting within the EU, although if you are sending goods to someone who is VAT registered you may be able to sell on a zero rate basis. VAT is not usually payable when exporting from the UK to a non-EU country, however, keep in mind that each country will have its own applicable charges to consider. The HMRC website is a great resource for VAT information and calculations. A ship or large boat. Used in shipping to transport sea freight. A charge applied by a terminal or port to cover the cost of handling incoming and outgoing goods. This is one of the charges an importer is liable for and is a fee paid for the use of the wharf. A standardised metal box typically measuring either 20ft or 40ft in length, for the purpose of shipping cargo. Containers are designed to be moved easily between modes of transportation. Most commonly a dry storage, general purpose container – although other types of container are available. Usually provided and owned by the shipping line as part of its service. Incoterms are an internationally recognised set of instructions used in the global transportation of goods. They define the division of responsibility between the Shipper (usually the supplier/consignor) and the Consignee (usually the buyer). The terms dictate which party is responsible for the risks, costs and liabilities associated with the shipment at each stage of the shipping process. To help you understand who is responsible at each stage, we have created a handy infographic that you can download and keep as a quick point of reference. CPT shipping terms indicate that the seller bears all costs of transporting goods to the port of discharge. The seller’s responsibility for the goods, however, ends on delivery to the carrier at a named place. CPT can be used for all modes of transports including air and sea. CIP terms indicate the same seller responsibilities as CPT (cost to the port of discharge, responsibility to delivery to carrier) but with the additional inclusion of maritime insurance. With CFR terms the seller’s invoice will include the cost of the goods plus the cost of transporting the goods to the port of discharge (not including local charges). Although CFR terms can appear to be a good option, the buyer has little control over the shipping process and the associated costs. The same shipping terms as CFR, plus a marine insurance policy also paid by the seller. CIF terms on the basis of the destination port being Felixstowe UK. As with CFR and CIF, these terms can be less favourable for buyers, meaning less control and unexpected fees. With DAT terms the seller is responsible for delivery to the named terminal at the destination port, and unloading ready for buyer/carrier collection – after which, the responsibility for the goods passes to the buyer. The seller is responsible for the goods export customs clearance. The buyer is responsible for all costs from the point of delivery, including import customs clearance, duties and taxes. Can be used for all modes of transport. Very similar terms to DAT, with the difference that the buyer is responsible for unloading the goods at the named place of delivery. Buyer assumes responsibility from the point of unloading the goods, including import customs clearance, duties and taxes. Can be used for all modes of transport. DDP terms indicate that the seller is responsible for carriage and delivery to a named place, including clearing for import and all applicable taxes and duties. Can be used for all modes of transport. They maximise cost and risk for a seller and minimise them for the buyer. The buyer’s responsibility for the goods begins when they receive them for unloading at destination. Can be used for all modes of transport. EXW terms indicate that the buyer is responsible for collecting the goods from the seller and accepts all onward arrangements, including associated costs, risks and liabilities. FAS terms require the seller to place the goods alongside the carrier vessel at the port of export, with seller responsibility for export customs clearance and risk and cost up to that point. The buyer takes responsibility for the goods from loading onto the vessel onwards. FCA terms indicate that the seller is responsible for the goods, including costs, up to delivery to the buyer’s chosen carrier at a named location – often a terminal or transport hub or forwarder’s warehouse. The seller is responsible for export clearance, after which the responsibility transfers to the buyer. If the named location is the seller’s place of business, then they are responsible for the loading of the goods. At all other named locations, the buyer is responsible for loading. FOB terms indicate that the seller and the buyer have relatively equal responsibility for all costs, risks and liabilities associated with transporting the goods. The seller is responsible up to the arrival for boarding the ship, including charges at the loading port. The buyer is responsible from loading onwards until the goods reach their final destination. FOB is usually the recommended option for importers and buyers, as it allows greater control over costs. AEO is an internationally recognised quality mark demonstrating the company’s role in the international supply chain is secure and that their customs controls and procedures are efficient and compliant. Companies who hold AEO status benefit from consignments being fast-tracked through customs controls, and when customs select AEO consignments for examination or inspection, they receive priority over non-AEOs, making the whole shipping process run more smoothly and efficiently. The UK Trade Association for freight forwarders. BIFA provides freight, customs, air cargo security and dangerous goods training for the industry. IATA is the trade Association for the world’s airlines. 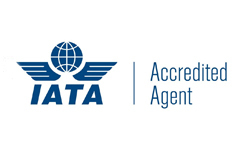 IATA sets global standards for airline safety, security, efficiency and sustainability. IATA also provides training in all aviation-related sectors. 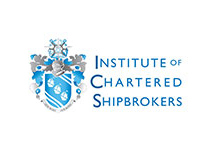 ICS is the professional body for the commercial shipping industry worldwide. ICS offers qualifications including Foundation Diploma, Advanced Diploma and PQE (Professional Qualifying Exams). RHA is the UK Trade Association for road transport and freight logistics operators. RHA provides training including driver development (CPC – Certificate of Professional Competence) and compliance. Also known as the Department for International Trade. UKTI is responsible for driving British trade across the world. A hub of information for exporters with services including tailored support, training and advice covering every area of exporting. 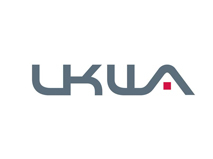 UKWA is the UK Trade Association for the logistics sector. UKWA provides business support, training and networking opportunities to warehousing and logistics providers, manufacturers, retailers, wholesalers and suppliers to the logistics industry.